Today I am writing from Ho Chi Minh City. In our action packed day I learnt all about rubbish juice (aka leachate), banh xeo (vietnamese pancakes stuffed with pork and shrimp) and corporate social responsibility (CSR). We visited two corporations today, ANZ Vietnam and Vietstar a subsidiary of the Lemna Corporation. 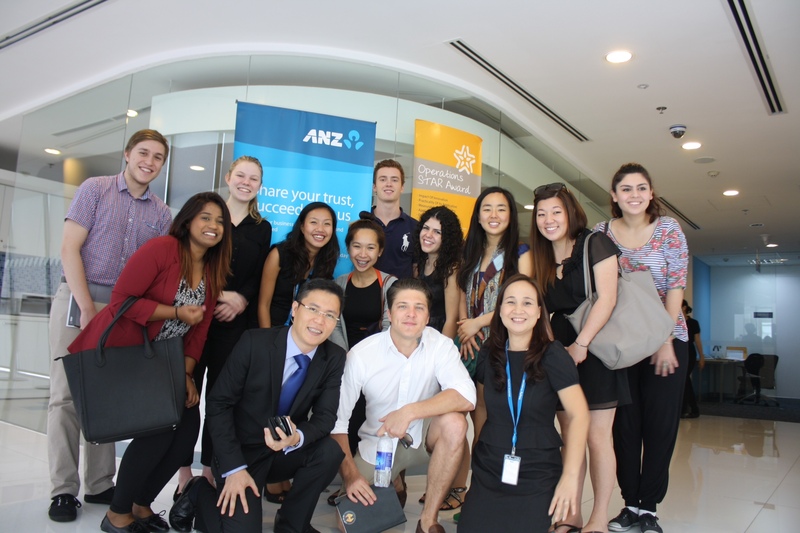 ANZ Vietnam delivered a presentation on CSR. We had the pleasure of meeting Duong Duc Hung, the head of retail banking and wealth management and Bui Hai Ha, the head of Communications. The presentation really highlighted some of the challenges of CSR in a developing nation. First, a lack of transparency within the NGO partners. Second, the enormous discrepancy between needs and funds. Third, and perhaps the challenge that stuck with me most, the trend of booming volunteerism. The distinction between company PR and real impact remains. I believe ANZ’s meaningful long term partnership with Vietnamese NGOs which involves both financial assistance and volunteer hours from ANZ staff is making a real impact in Vietnam. After Duong’s inspirational words and a short tour of the office, we departed on an hour and a half journey to the Thai My Village in the Cu Chi District to visit the Northwest Solid waste Treatment Complex. This waste treatment facility is the first of its kind in Southeast Asia. It is also the only large-scale waste recycling plant operating in Vietnam with a total capacity of 1200 tonnes of rubbish per day. It recycles plastics to create RDF materials, creates organic compost and recycles metals. Basically they are using free incoming materials to create sellable products. We explored the plant and experienced the insane stench that accompanies 1200 tonnes of rubbish coupled with the incessant noise from the machinery. There were simply piles upon piles of rubbish. It was an experience like no other. I was really impressed with this social enterprise. It worked on preserving the environment, whereas every other organisation we had visited was more focussed on personal finance and poverty alleviation for a targeted audience. We have the weekend free so lots of adventures are being planned – learning the secrets of the Viet Cong whilst exploring the Cu Chi tunnels and travelling down the Mekong Delta. I will be sure to live by Duong’s mottos!